Your customers no longer need to wait in line within your establishment. QBright let's your customers see their position in line right on their phone, so that they can go about their business during long wait times. More customers will stay during long wait times when they can be mobile. Your business can win over new customers by using technology that is a step above the rest. 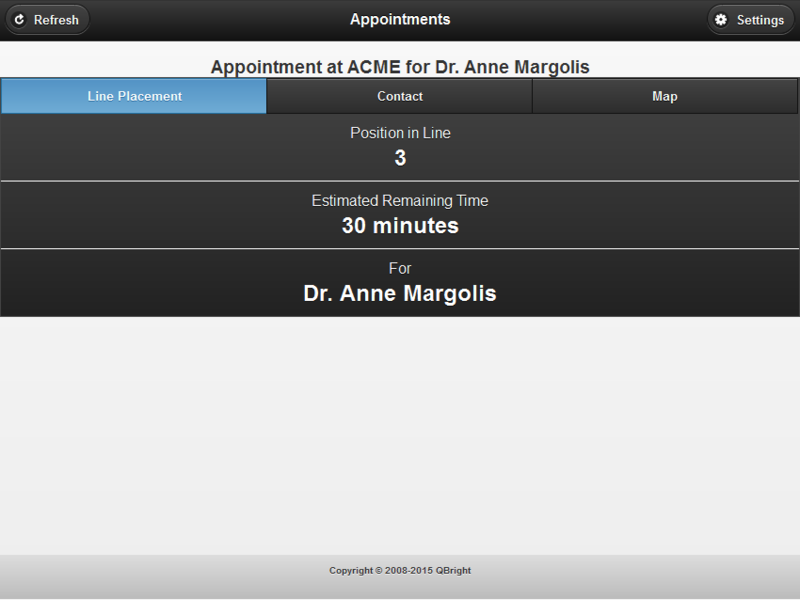 Customers will feel more in 'control' when they can see continuous updates of their place in line right on their phone. QBright has been designed with simplicity in mind. 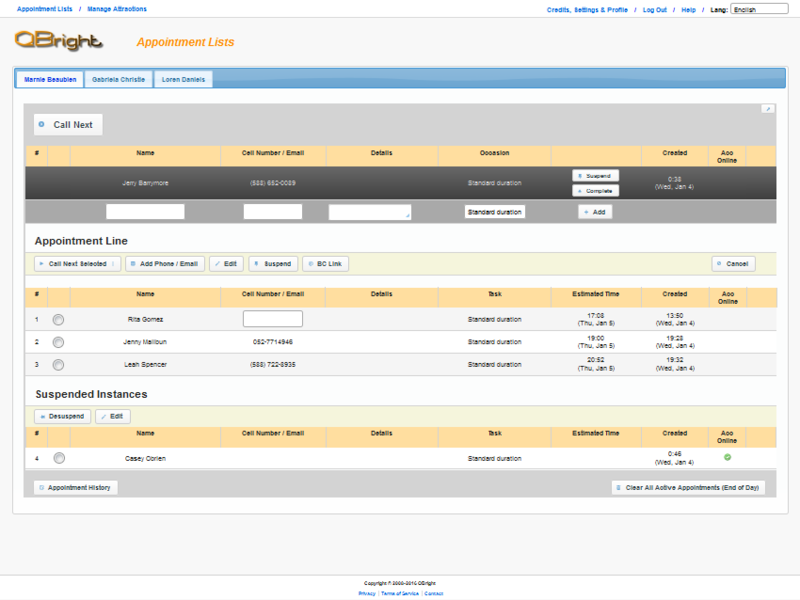 Administrators can add multiple attractions. They can easily create, call, put on hold, or cancel appointments. 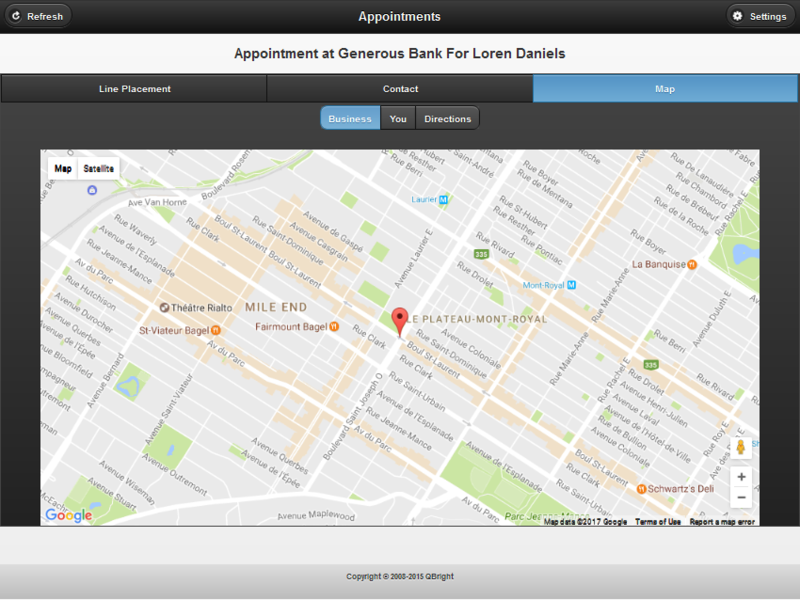 Users can view their place in line, your business details, and their position relative to your business on a map. QBright uses customer names to keep track of people, rather than a numbering system, which allows you to maintain a friendly and personal environment. This also means that you can choose to use a paperless appointment kiosk, or no appointment kiosk at all, which reduces your costs and maintenance. You have the choice of purchasing credits that can be used at any time or through a monthly subscription. Credits that can be used at any time do not expire, which is ideal for businesses that may have customer lines only once in a while. Adding an appointment to the line costs one credit. Sending SMS messages through your phone/s using our application is free, however sending them through our servers will cost additional credits, based on the destination country. * For subscriptions, additional monthly credits on top of the ones included are provided at a reduced rate of only one dollar for 100 credits. Forgotten password or user name? So you forgot your password... No big deal. Just enter the email address you used to register the account and we will send you a link by which you may reset it.